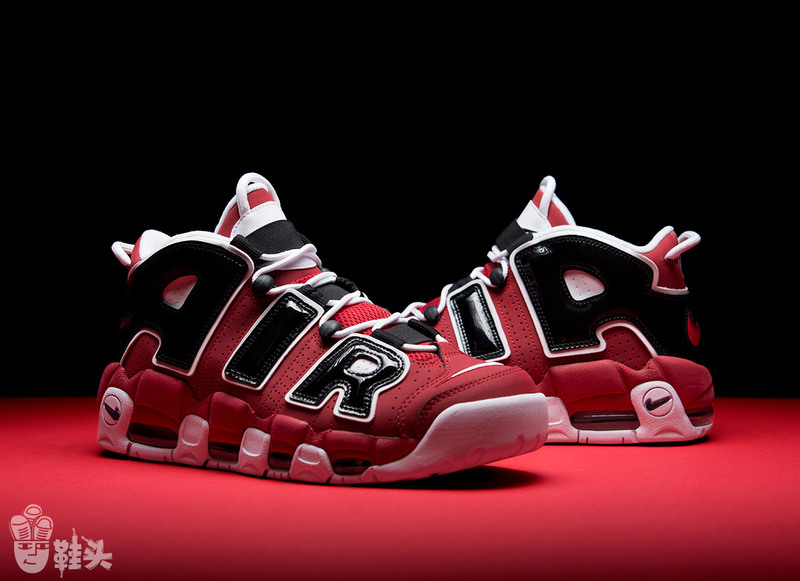 Designed by Wilson Smith, the Nike Air More Uptempo made its debut in 1996. The sneaker of choice for Scottie Pippen, they feature a design inspired by the mid-90s, a time were everything was big and impactful, including jeans, cars, and art. This anti-subtle model is crafted with lightweight synthetic leather, features prominent “AIR” lettering on the side panels, a maximum-volume visible Air-Sole unit, comfortable inner sleeve, and elastic bands across the tongue for a locked-down fit. Plus, this “Bulls” version also has a Chicago Bulls-inspired colorway, patent leather details, and “1996” embroidery on the heel.